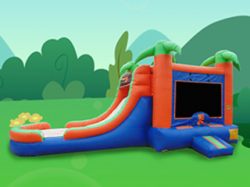 Tall is an understatement as you Jump, Climb & Slide down the 16′ long slide. 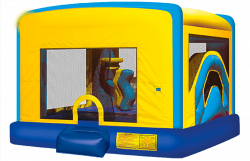 Bet you can’t touch the ceiling! 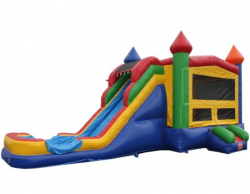 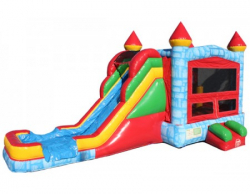 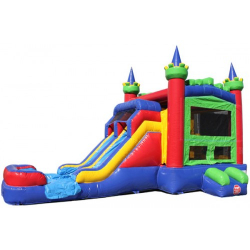 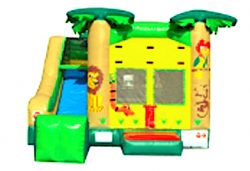 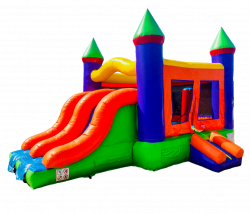 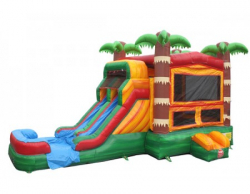 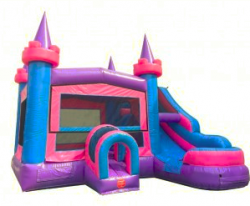 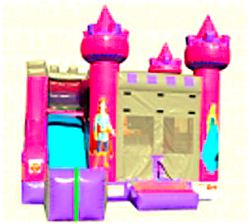 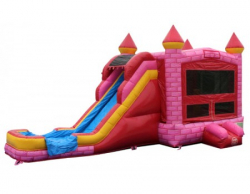 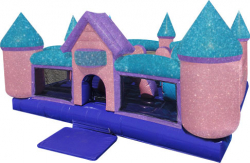 Pink Brick SUPERSLIDE & Bounce Combo w/ BasketBall Hoop, Rock Ledge Wall w/ TALLEST Wet OR Dry SLIDE AVAILABLE IN A COMBO and 15′ X 15′ Bounce Area. 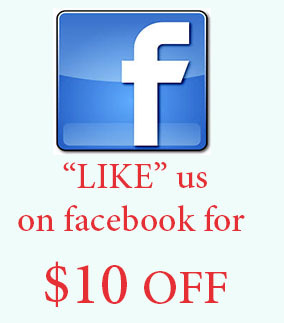 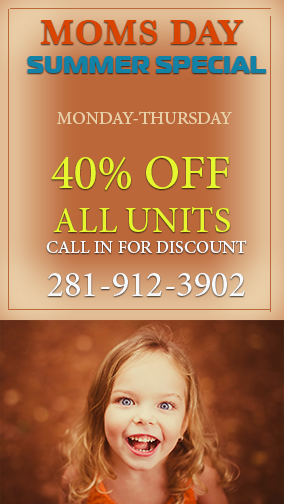 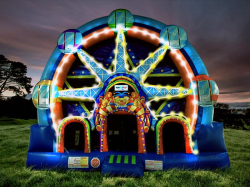 Rent just as you see in picture or choose From 100+ Themes available for your event or party. 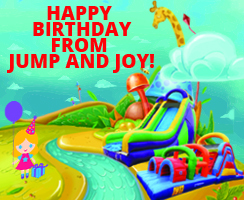 Everything from Happy Birthday to the hottest kiddie trends on television. 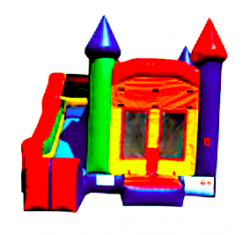 Select Choose by Theme category from the home page for selection of Themes. 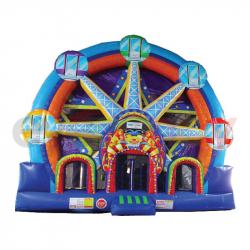 This unit is in transit from manufacturer, we will notify you if issue of not making event after booking.